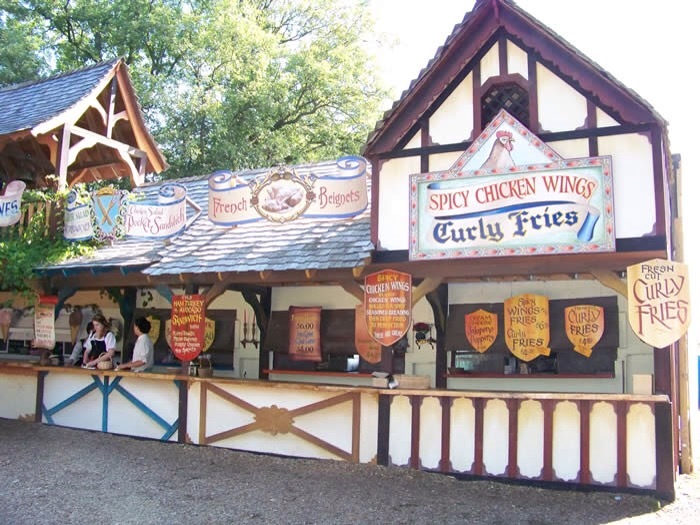 Summertime for my family usually includes at least one trip to the Bristol Renaissance Faire. 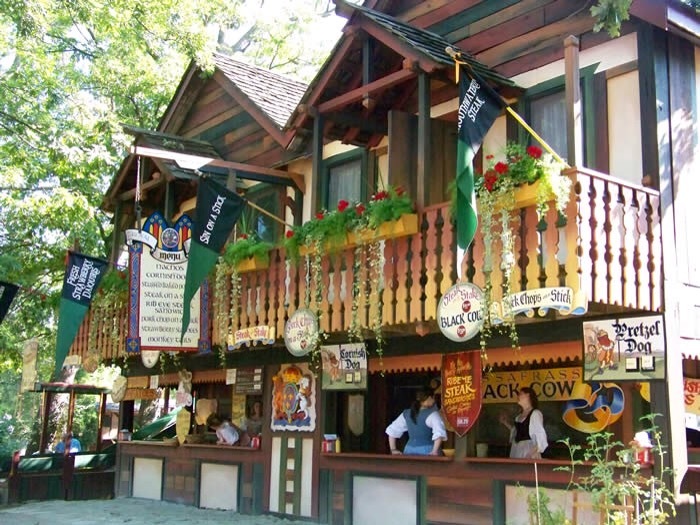 With opening day right around the corner (Saturday, July 11th), I thought I’d share some bellytimber methinks thou shalt golp during ye olde carousing of the Renaissance Faire. 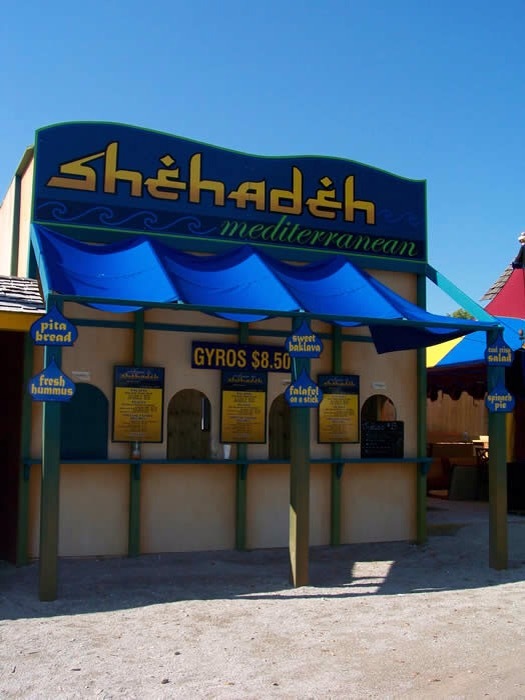 If you are looking for gluten-free (GF) and vegetarian (V) options, Shehadeh may be the place for you (close to the mud pit). 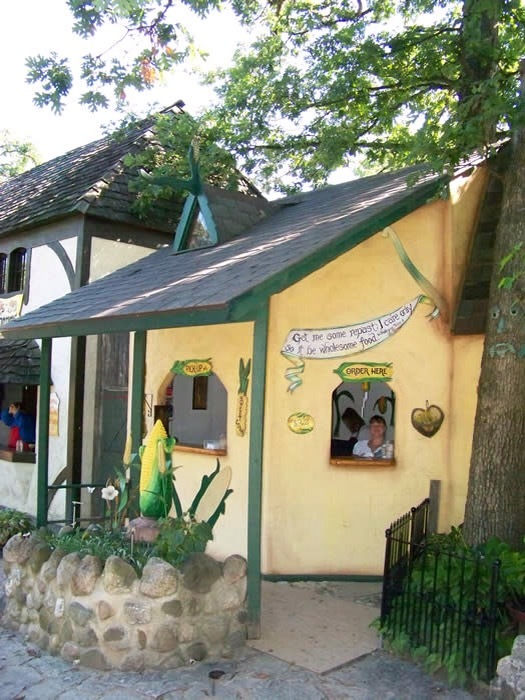 From falafel (GF, V) to yellow rice (GF, V) to homemade baklava (GF, V), the Shehadeh has many Mediterranean specialty dishes as well as fruit juices. 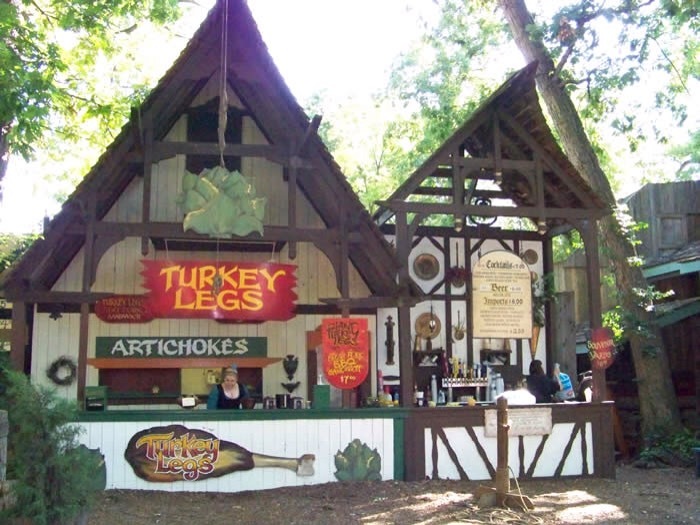 Near the Globe Stage is where you’ll find the famous turkey legs. 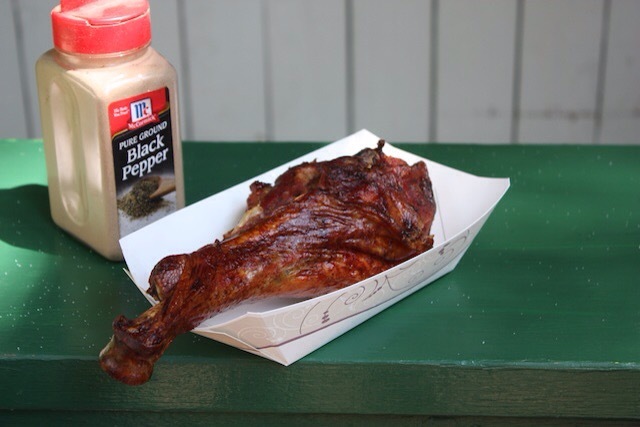 You can get turkey legs with BBQ sauce, but this is another gluten-free option if you get a sauce-less leg. Pulled pork sandwiches and steamed artichokes (V) with butter are also served at this eatery. 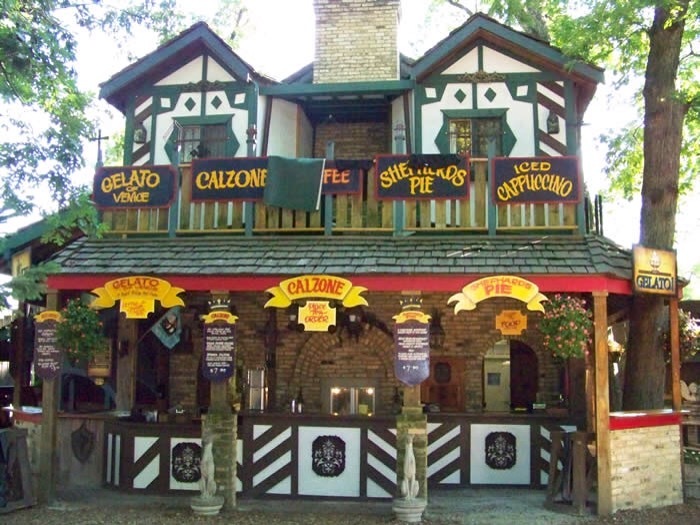 You can also get sausage calzones, spinach calzones (V), iced coffee/cappuccino and gelato here – great for cooling off if the weather is stifling. 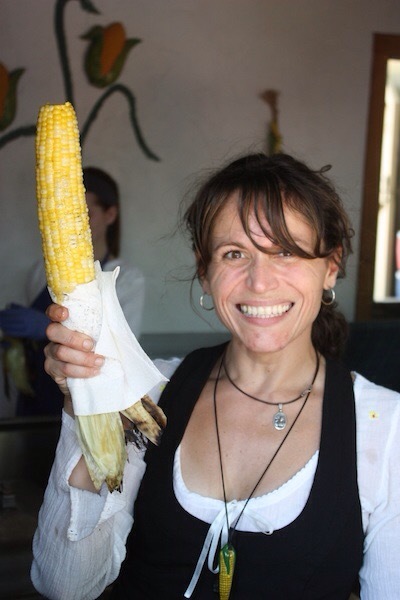 One of my favorite stops, the tempura stand, is also in this area. 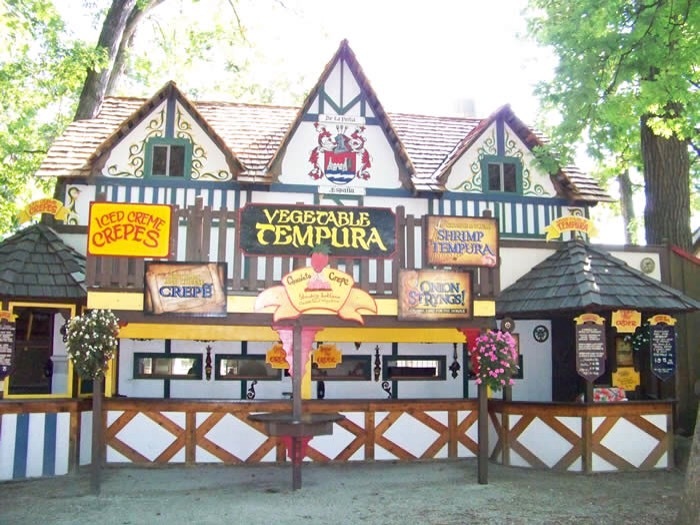 Shrimp tempura, vegetable tempura (V) and onion strings (V) can be found here along with some sweet treats – grilled pineapple (V) and ice cream crepes (V). The area surrounding Lord Mayor’s Forum Stage also has plenty of goodies. 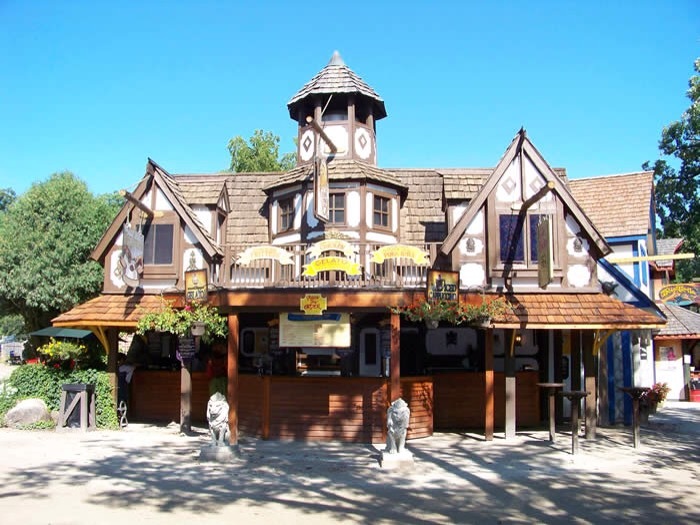 Look for this building for pork ribs, grilled chicken skewers and cheese fritters (V). 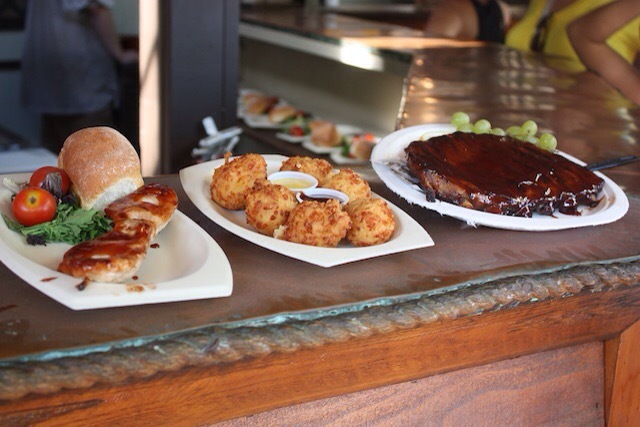 I cannot stress this enough – the cheese fritters are delicious! 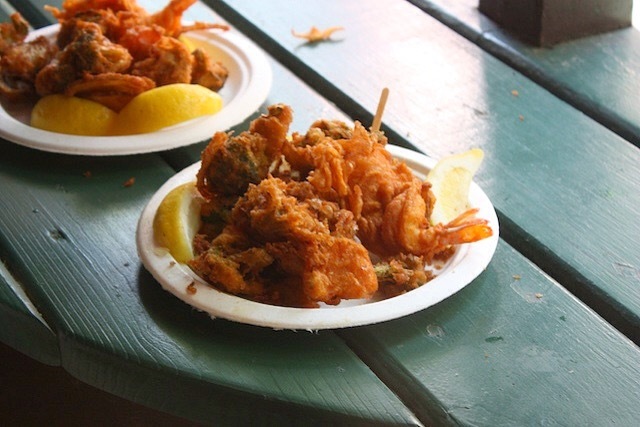 In that same area, you can also find curly fries (V), jalapeño poppers (V), beignets (V) and coconut shrimp at this stand. There’s also a lot of fun drinks available, including Bob Chin’s Mai Tais (woohoo! 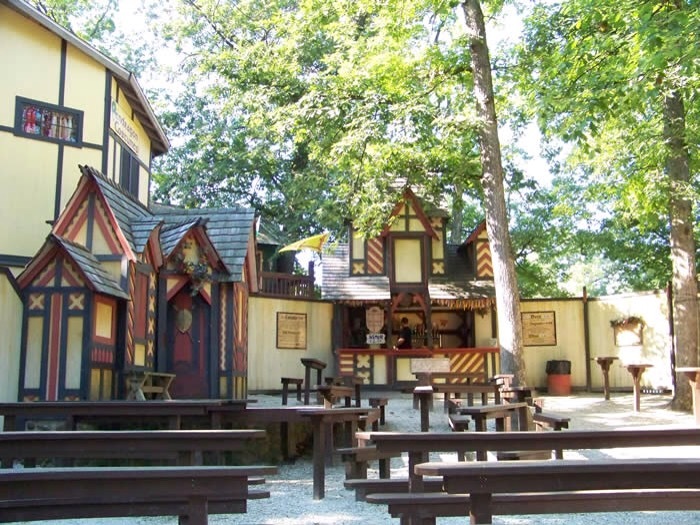 ), at the various taverns located throughout the faire grounds (Pig & Whistle shown).